Home » Will Trump Pull the Plug on the Federal Reserve? Will Trump Pull the Plug on the Federal Reserve? It’s a strange time at the Federal Reserve. When Trump took office last November, the Board of Governors had five members and two vacancies. But by early February, the Board could drop to just three members with four vacancies. Although the Fed is understaffed, it could actually be part of Trump’s master plan. In fact, it may mean he has a big ace up his sleeve. What’s most important is the Federal Reserve is an independent entity, meaning it doesn’t have to answer to the U.S. Government. This means it has free reign to manage and manipulate the economy as it sees fit without facing any consequences. 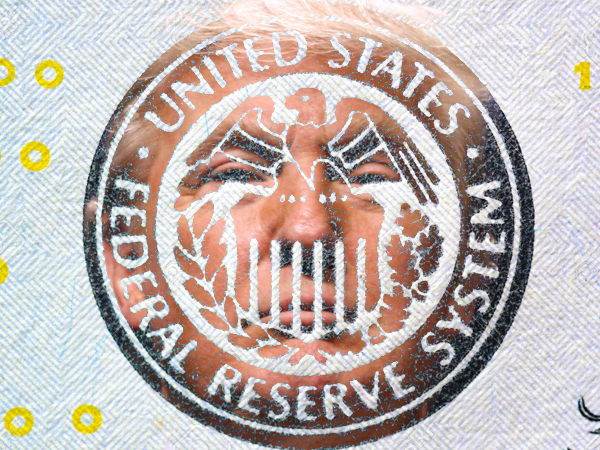 However, the ultimate power now lies with Trump: He appoints all the new members, which would result in the Fed’s “freedom” depending upon his discretion. When Trump took office, there were two vacancies. Two have since resigned, and only one of the open seats has been taken (Randal Quarles). Now there are three vacancies. But that number will soon climb to four when Janet Yellen leaves in January. How does a seven-member board operate with four vacancies? Many thought Trump would have begun exerting his control over the Fed by now. Yet by taking so long to appoint new members, it seems like he’s in no hurry. Could Trump be intentionally leaving seats empty to harm the Fed’s ability to manipulate the economy? Or could he be actively planning to get rid of the Federal Reserve altogether? The idea might sound crazy, but it might not be that far-fetched. As we’ve discussed previously, it’s no secret Trump has a bone to pick with the Fed. He could even be the first president in years to strip away its independence. His actions to date appear to back this up. Most notable is his choosing not to re-nominate Janet Yellen to another term as chair, but instead chose Jerome H. Powell. And just this week he nominated controversial economist Marvin Goodfriend to fill one of the vacancies. If you’ve paid close attention to Trump, you know he loves gold. He had gold-bar party favors on his campaign trail, Trump Tower is filled with gold décor, and Trump International Tower in Las Vegas even looks like one big stack of gold. Trump could use his control over the Fed to do things that are good for gold — whether that means leaving the seats vacant or filling them with the people he wants. And with the President viewing gold so favorably, the yellow metal could soon become an even more attractive asset.